Tone King has released the Ironman II, a 100-watt reactive power attenuator that builds on the Ironman II Mini. Like its forebear, this device is designed to preserve your amp’s tone even when you dial back the volume. What’s new in this model, apart from its 100-watt rating, are additional impedance operations and a DI out with analogue cab sims. 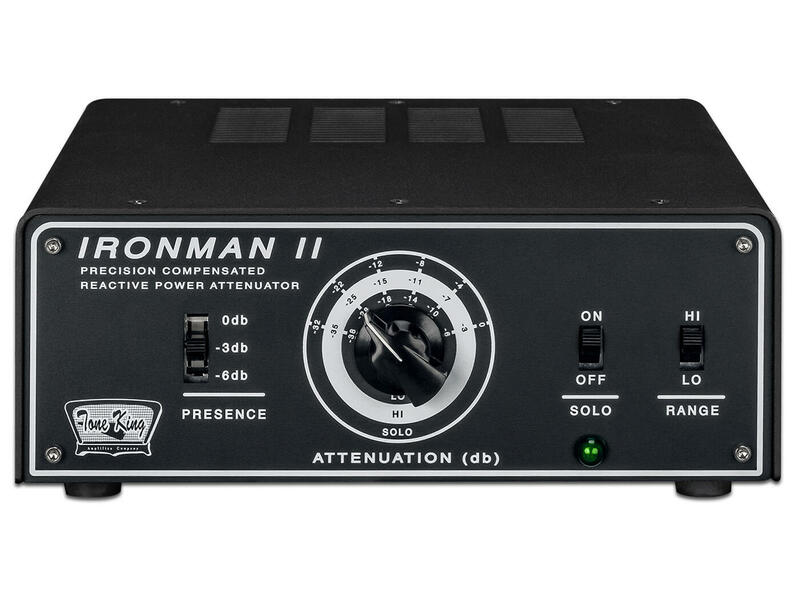 New to the Ironman II is a rear DI output with analogue speaker cab simulation. According to Tone King, this analogue circuit rivals its IR counterparts, providing you with a “great-sounding” output that can be sent directly to the front-of-house or studio mixer. The DI out is complemented by three switches: level, micing – between speaker center or edge – and ground-lift. Where the Mini offered only an 8-ohm operation, the Ironman II provides you with a choice of 4-, 8- and 16 ohms with separate impedance controls for speakers and amplifier. To manage your amp’s brightness, you can also use the attenuator’s presence switch. This control toggles between three brightness settings: 0dB (brightest), -3dB, and -6dB (darkest). Price TBA, available from 19 April. More info at toneking.com.